With just weeks to go before Election Day, the increasingly heated rhetoric has the fact-checkers working 24/7. But dubious claims and media spin aren’t limited to the political sphere. Witness a recent press release from the American Bird Conservancy (ABC): “Study finds free-roaming cats pose threat from ‘serious public health diseases.’” Of particular concern, according to ABC, are rabies, plague and toxoplasmosis. This is just the latest PR assault from ABC, which has long been opposed to TNR, a method for reducing the population of stray, abandoned and feral cats through sterilization. And, like so much political rhetoric, ABC’s message is more sound bites than substance. As for ABC’s alternative to TNR, we’ll get to that shortly. In fact, the “study” in question was no such thing — but, as the authors themselves acknowledge, “a review of the various diseases of free-roaming cats and the public health implications associated with the cat populations.” And, as reviews go, “Zoonotic Diseases Associated with Free-Roaming Cats,” published online in July by the peer-reviewed journal Zoonoses Public Health (and to be included in an upcoming print edition), is remarkably selective in terms of the scientific evidence — betraying the authors’ biases against free-roaming cats in general, and TNR in particular. Indeed, a careful look at Rick Gerhold and David Jessup’s paper reveals numerous errors, misrepresentations and glaring omissions when it comes to the relevant science. Such work does little to shape sound public health policy, and may actually have the opposite effect—increasing exposure risk by impeding efforts to manage stray, abandoned and feral cats in a manner supported by the public. And where raccoon cases increase, cat cases tend to follow. In the western part of the country, by contrast, rabid cats (and rabid raccoons) are both nearly unheard of. Gerhold and Jessup (and ABC) go on to argue that “human exposure to rabies is largely associated with free-roaming cats because of people being more likely to come in contact with cats, large free-roaming cat populations and lack of stringent rabies vaccination programmes.” In fact, a 2012 nationwide survey of “feral cats groups” conducted by Alley Cat Rescue revealed that 96% of them provide rabies vaccinations as part of their TNR programs. Of the 49 rabies cases reported in humans since 1995, 10 were the result of dog bites that occurred outside of the US; the remainder were traced either to wildlife or were of unknown origins. 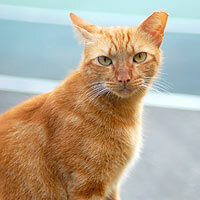 Since 1960, only two cases of human rabies have been attributed to cats according to the CDC. To put things into context: you’ve got a much better chance of being killed by lightning — not just struck, but killed by lightning. Data collected by the National Oceanic and Atmospheric Administration (PDF) show that between 1959 and 2011, 3,947 people in the U.S. were killed by lightning. That’s roughly 75 deaths annually due to lightning strikes. Think about that for a minute: have you known anybody who was killed by lightning? Do you know anybody who knows anybody who was? You get the idea. “Approximately eight percent of plague cases in the United States are associated with transmission from cats,” write Gerhold and Jessup. “Cats frequently develop the pneumonic form of plague, which is considerably more infectious to humans in close contact, and results in rapidly progressive and frequently fatal disease.” But the authors fail to mention the number of cases associated with cats: 23 cases between 1977 through 1998, according to the study the authors cite as support. And only five of those were pneumonic plague. By comparison, about 1,725 people in the U.S. were killed by lightning between 1977 and 1998 (using the 53-year average described above). Toxoplasma gondii is a parasite that, according to Trends in Parasitology, “infects most, if not all, species of birds and mammals.” Whoever said cats weren’t trendy? Felids — the domestic cat as well as the “big cats” (e.g., bobcats, cougars, etc.) — are the only known definitive hosts; the parasite reproduces sexually in a cat’s small intestine, and potentially infectious spores are then passed in the cat’s feces. This process, called “shedding oocysts,” typically occurs only once during a cat’s lifetime, and lasts only about a week. As Gerhold and Jessup point out, recently published research in the Journal of Parasitology suggests that the risk of infection from oocysts may be greater than previously thought. Even so, drawing a direct connection to domestic cats seems premature. Indeed, a careful reading of the work the authors cite reveals that 3 of 103 such infections were actually the result of contaminated water linked to cougars living in the area of a local reservoir. With every new study of T. gonddi comes a host of new questions. Why, for example, are outbreaks caused by contaminated drinking water not more common, given the number of free-roaming cats in the environment? Or other types of outbreaks linked to environmental contamination? In 1997, 37 people were diagnosed with toxoplasmosis after visiting a riding stable in Atlanta, GA, with a subsequent investigation implicating cats on or near the property. In 9 of the 11 blood serum samples submitted for testing, the infection was attributed to oocysts; these cases were among the 103 infections mentioned previously. But there’s nothing unusual about keeping cats in horse stables and barns. Why, then, are such occurrences so uncommon? Clearly, there’s a great deal we don’t yet know about this common parasite. It’s telling, though, that some of the scientists closest to the research don’t share the alarmist views of TNR opponents. Others, investigating the congenital transmission of toxoplasmosis (i.e., from mother to fetus), are calling for the screening of pregnant women (standard practice in France) and the development of vaccines. If these researchers aren’t demanding the roundup of outdoor cats in the name of public safety, what justification do TNR opponents have? But Schroder never explains how a ban on TNR — which would mean many more unsterilized and unvaccinated cats — could possibly benefit cats, wildlife, or people. (I’ve asked him directly via e-mail, but never received a reply.) In fact, it’s clear that such misguided policy would be detrimental all the way around. To suggest otherwise, as ABC has for years now, is dishonest and irresponsible. Peter J. Wolf has been involved in the world of animal rescue and feral cat management since 2007. He currently lives with seven cats and helps manage three small feral cat colonies. To learn more about feral cats, visit Peter’s blog, Vox Felina.